Refinancing a jumbo loan has never been easier, more so in Tennessee where interest rates are stable and at historic lows. In fact, our home loans experts here at HomeRate Mortgage suggest that if you financed your Tennessee property using a jumbo loan you may want to consider doing a refinance. As you already know, a jumbo mortgage is unique in so many ways, but we can mention the top two. First, it has a larger than a normal amount. Secondly, the rates charged on jumbos are generally higher than those charged on conventional mortgages. When you combine those two features, you realize that even a slight drop in interest rates can help you save a lot. But then you need to factor in the closing costs of your new mortgage. Will the refinance cover these costs and help you break-even within a reasonable period? That comes down to how low the interest rates are and your timing. The current Tennessee rates are definitely enticing for any jumbo mortgage holder. It could easily be a great time to do a Tennessee jumbo refinance, but you can know that for certain by asking for professional advice from a mortgage expert. 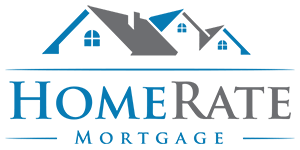 Our team here at HomeRate Mortgage can help analyze your particular situation and advise you accordingly. To help you get started, we have compiled all the information you need about jumbo refinance in Tennessee. Kindly go through it and be sure to ask any questions that you might have. You will also be glad to learn that you can start the refinance process on our website. We offer our customers the best mortgage deals in Tennessee to help them save and improve their homes’ equity.